As life changes for you and your children, it’s normal to experience a significant sense of loss and grief over that loss. Divorce ranks second only to death regarding the level of stress it generates in a person’s life. Even though the whole family goes through the transition at the same time, it is likely your children’s feelings about divorce will be different from your own. Therefore, it is essential that you as a parent are able to keep your feelings about splitting up separate from your children’s feelings. Not only will your children’s experience be different, but you and your partner will probably have different feelings, too. When relationships break down, often one partner will begin to emotionally distance him or herself before initiating a separation. This situation usually leaves one parent further along the emotional process while the other may be in the beginning stages. 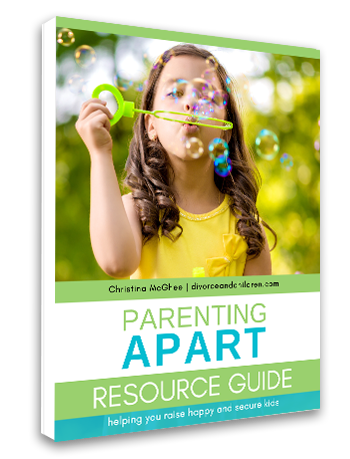 Regardless of which position you are in, understanding the separation process and how you, your children and the other parent are managing these emotions can make an important difference as you move forward. When divorce or separation occurs, children will likely experience a wide range of emotions. Sometimes it can be difficult to know which changes in behavior are normal and which are related to parents separating. Although children may talk to you about their feelings, it is equally necessary to pay attention to their actions, as well as, their behavior.